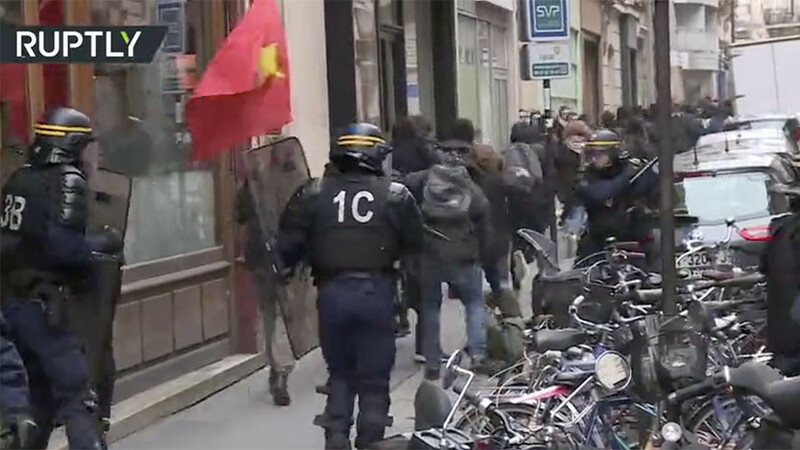 Police have clashed with protesters in Paris during a demonstration against Emmanuel Macron’s public-sector reforms. The rioters were seen throwing stones at police and igniting firecrackers. The protesters were marching near Place de la Bastille and Place de la Nation, the usual spots for all sorts of rallies in the capital. Once some of the demonstrators started pelting law enforcement with stones, officers in riot gear moved in, resulting in clashes. 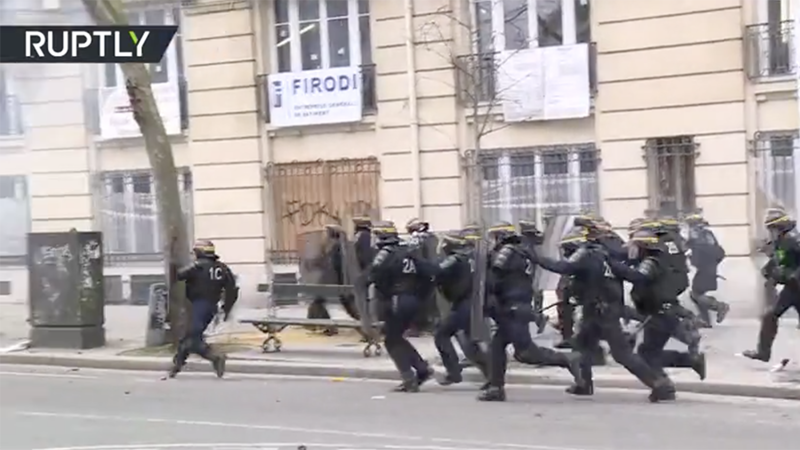 The stand-off continued after some of the demonstrators fled to the narrow streets. A young male with his face covered in blood was later seen in the Ruptly live transmission. It is, however, not clear whether he was a protestor or not. 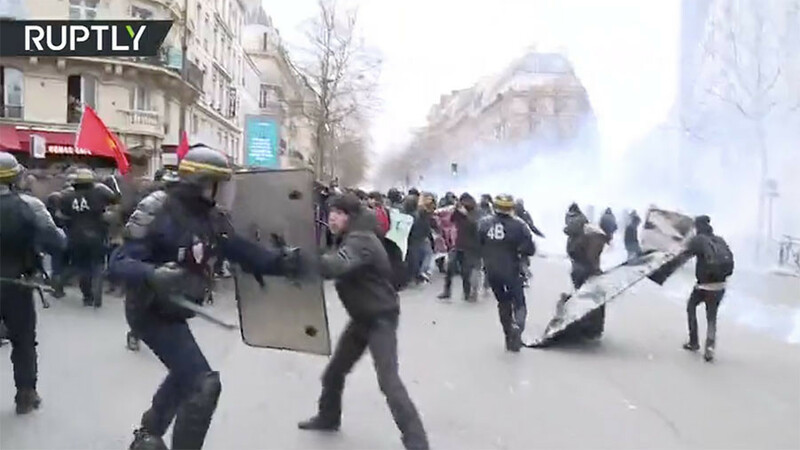 Train workers, civil servants, airline pilots, lawyers, teachers and doctors joined the protests across the French capital. “If we do nothing, the government will not back down,” Philippe Martinez, the leader of the CGT, one of the largest civil servant unions, said ahead of the protests. The protest is the latest test for the 40-year-old centrist president, who has recently been pushing his new reforms for the public sector and state railways. The date, March 22, has been specifically chosen by demonstrators in reference to massive strikes that brought the French economy to a virtual halt in 1968. Macron’s first year in office is facing harsh reviews from many corners. According to a survey by the Ipsos polling group published on Wednesday, his approval rating stands at 37 percent. At least 55 percent have a negative view of his presidency.